MotoGP engines will have to last for two races for the final part of the 2009 world championship campaign, MCN can exclusively reveal. The new rule, which means a rider must use the same engine for two races as part of a range of cost cutting measure, will come into force for the Indianapolis GP in America at the end of August. The increase in engine life is part of plans to be put before the Grand Prix Commission in the next fortnight after lengthy meetings between representatives of the Motorcycle Sport Manufacturers Association (MSMA), International Race Teams Association (IRTA), FIM and Dorna in Sepang this week. Extending engine life to two races later this season is an interim proposal, with the MSMA planning to extend the rule to three races for the 2010 campaign. 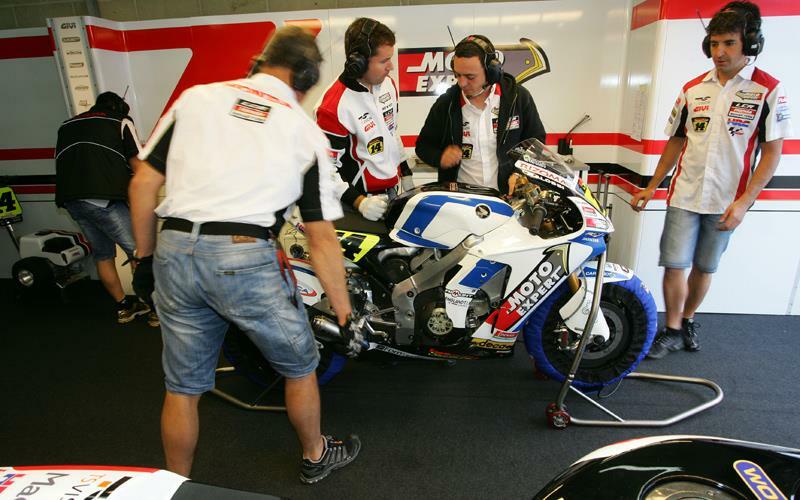 Currently in MotoGP, a team changes an engine every race with the high performance engines normally lasting between 600 and 800ks. Other rules for 2009 set to be approved at the Grand Prix Commission meeting later this month will see Friday morning’s MotoGP free practice session scrapped. And the other practice and qualifying sessions cut from one hour to 45 minutes to help cut down on engine mileage. Teams estimate that could save them around 4000ks in engine use. The five post race European tests will also be abolished, though a compromise could be to keep the scheduled tests in Catalunya and Brno on the calendar. Rules for 2010, which will be further debated by the MSMA at next month’s Qatar night test, include reverting to a one bike per rider rule, and extending engine life to three races. One possible option to further cut engine mileage in 2010 is to completely scrap Friday practice and only run two-day meetings. One suggestion has also been to ban carbon brakes, but it is estimated that would only save around £50,000 for a two-rider team per season. For full details see next Wednesday’s MCN, out on February 18.